The mindset of the modern consumer is one of urgency and convenience. Businesses that reply to queries and concerns quickly and without hassle generally earn more customer loyalty and have better brand reputation. And thanks to chatbots, more companies can now be online 24/7 to meet their customer’s needs. Many businesses want to be able to provide their customers with support 24/7, but are unable to do so because of cost and human limitations. Chatbots go around these constraints. They can remain running all throughout the year. This means there will always be someone to interact with your customers regardless of the time of day. It seems that there’s an app for everything these days. However, people can only devote their time to a limited number of apps, particularly messaging platforms. Instead of rolling out a company app or relaunching your website, you can deploy your chatbot on a messaging site. These robots can be programmed to provide personal and meaningful conversations with customers. What’s more, they can present your brand in much the same way that a real person would. The Sydney Opera House’s “Seal Bot” on Facebook Messenger is great at engaging people. It shares facts about the venue’s history as well as information about any upcoming performances or events. Meanwhile, customers can have a dynamic discussion with Nike’s Messenger bot as they customize their sneakers based on their preferred color scheme or while checking out the shop’s different shoe styles. Chatbots can help make your business run more efficiently. You can automate tedious tasks and free up your employees for more crucial or creative ones. You can also program your chatbot to handle your employees’ human resource concerns, like sick leaves or questions regarding attendance. Bots can even be integrated into programs like Slack. They can assist in managing team projects, streamlining conversations and keeping tasks organized. Abandoned carts are a problem a lot of online retailers are familiar with. There are instances when a customer is finalizing their purchase, gets interrupted and is forced to abandon the transaction. Chatbots can cut down on these missed purchases by giving customers gentle reminders. They can even be programmed to suggest other products that could interest the buyer. Millennials have different expectations when it comes to customer service. Research revealed that the majority of millennial consumers prefer to resolve their customer service issues by themselves, and 69 percent feel good when a problem is solved without having to talk to a customer service representative. They prefer self-service solutions that chatbots can provide. If your company caters to this demographic or you want to target them, then automating your customer support is a good move. Chatbots can provide you with two key benefits—market presence and good customer service. These two things can make a big difference if you’re the owner of a small or medium-sized business. 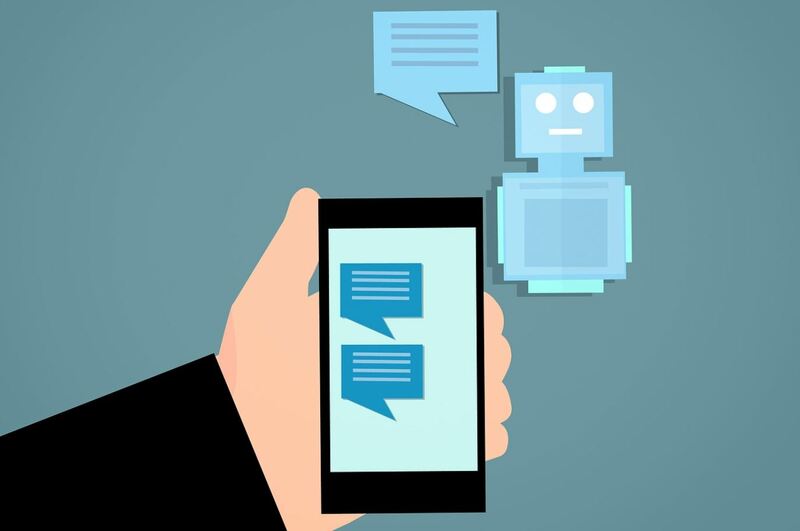 But make sure you first take the time to come up with a strategy for using a chatbot efficiently and in a way that also communicates your brand’s vision and personality.